Over the last year Shakti Mats have become very popular, and with good reason as they are a wonderful tool for aiding healing and bringing relaxation. For those of you who haven’t met the wonder that is the Shakti Mat perhaps it’s time to learn a little about them. The word shakti is a beautiful hindu noun which means the female principle of divine energy/ the feminine aspect of nature. The Shakti Mat was invented in 2014 but the premise that it works on, acupressure, has been around for thousands of years. Acupressure is based on the idea of life energy which flows through channels, otherwise known as meridians, in our bodies. The aim of acupressure is to encourage the flow of qi (life energy) through our meridians. If that all sounds a little hard to conceive a simpler way of looking at it is that it encourages blood circulation and stimulates muscles, aiding natural healing. Spending time on a shakti mat encourages relaxation, mental clarity, and overall well-being. The Shakti Mat itself contains between 4000 and 8000 points of contact (depending on the level of intensity you choose), all placed in perfect symmetry. 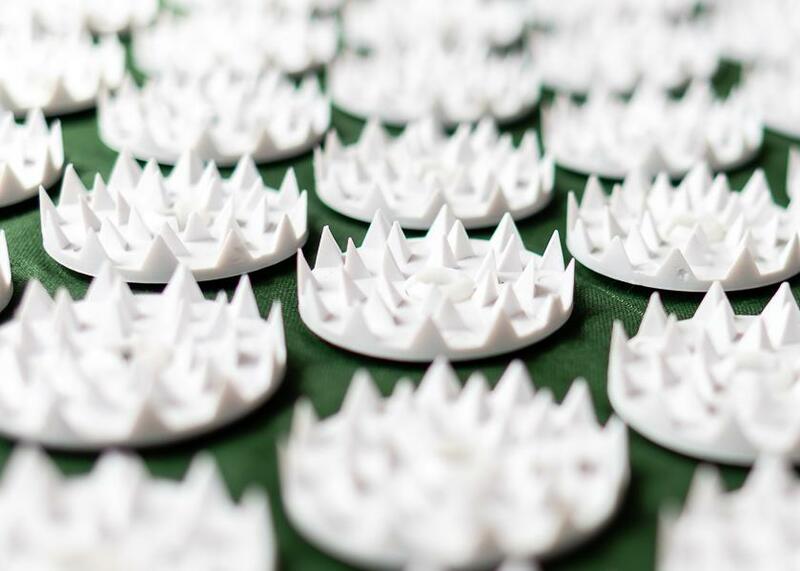 They give the same acupressure effect as ‘the bed of nails’ used by Indian Yogis for releasing mental, emotional, and physical baggage, and they are simply amazing! At the same time though all those sharp points can leave people feeling a little intimidated but really there is nothing to fear. We recommend easing yourself into getting used to your Shakti Mat as the first few times using it you may find it a little uncomfortable so we have some tips for you. For your first shakti mat experience we recommend wearing something light between you and your mat (a light t-shirt or cloth that won’t catch easily on the points of the mat) and keep the duration of your time on the mat short: 10- 15 minutes should be adequate while you get used of it. You may feel a warmth or a prickly sensation, after using your mat for a while you’ll soon be used to the sensations it brings. Pay attention to the feelings that are brought up when lying on your mat, everyone has different levels of sensitivity and different responses so adjust according to what your body is indicating to you as you may feel like a longer or shorter duration. Once you lay down try and not move as each time you move you will experience the pricking sensation again. It can last about 5 minutes, then it eases. So how do you use a Shakti Mat? There are several ways to use a Shakti Mat. Most commonly people use it by lying with their back in on it. The Shakti mat can be placed pretty much on any surface though a lot of people place it on their bed. As beds have a soft nature it allows the Shakti Mat to mould to the curves of the back better and therefore provide an even distribution of pressure. Rolling up a towel for under your mat, as in the photo, will give support to your neck. Using a smaller rolled towel than in the photo, one that is more in line with size of your neck will encourage your neck to regain its normal curve. Incorporating 15 - 20 minutes on your Shakti Mat is a great way to prepare the body for a deeply restful sleep, many people find themselves falling asleep on them. You may wake up in an hour or so in which you can remove the mat and go back to sleep. Our the feet have lots of pressure points so it makes for a good area for treating with acupressure. Standing on your mat can encourage circulation, massage achy tired feet and bring us some revitalisation. For your first time standing on your shakti mat we’d recommend wearing socks and once you feel comfortable with that you can consider trying it with bare feet. Not only do we love our Shakti Mats we are very pleased to stock a product which is produced ethically. The cotton used in the Shakti products is 100% organic and the mats are manufactured in India in a workshop that promotes a happy and safe work environment along with good pay, fair hours and free medical care. Pop in to pick up your very own happiness in a bag! What are Antioxidants and Why Are They Good for Us? Go ahead treat yourself, but without all the sugar!